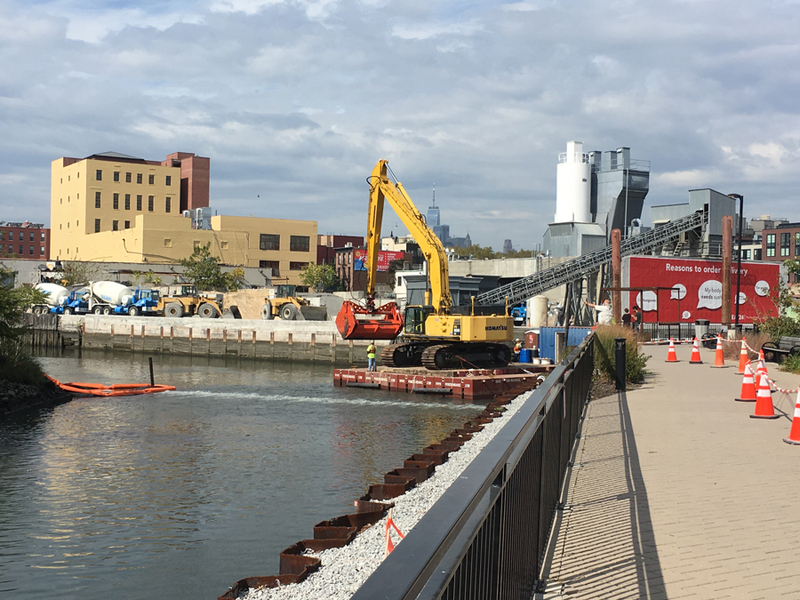 The primary historic industrial contamination in the Gowanus Canal is coal tar from three manufactured gas plants. 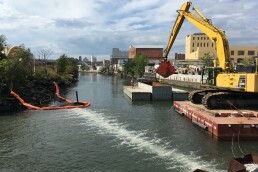 US Environmental Protection Agency (EPA) and the Potentially Responsible Parties (PRPs) are working to design and coordinate dredging on average 10’ of heavily contaminated sediment from the bottom of the Gowanus Canal and construct a multi-layer cap. 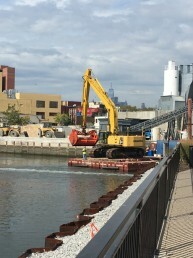 Pilot testing for dredging practices are currently complete at the 4th Street Turning Basin, as are is the pilot to cap the bottom to prevent more contamination from seeping into the water. 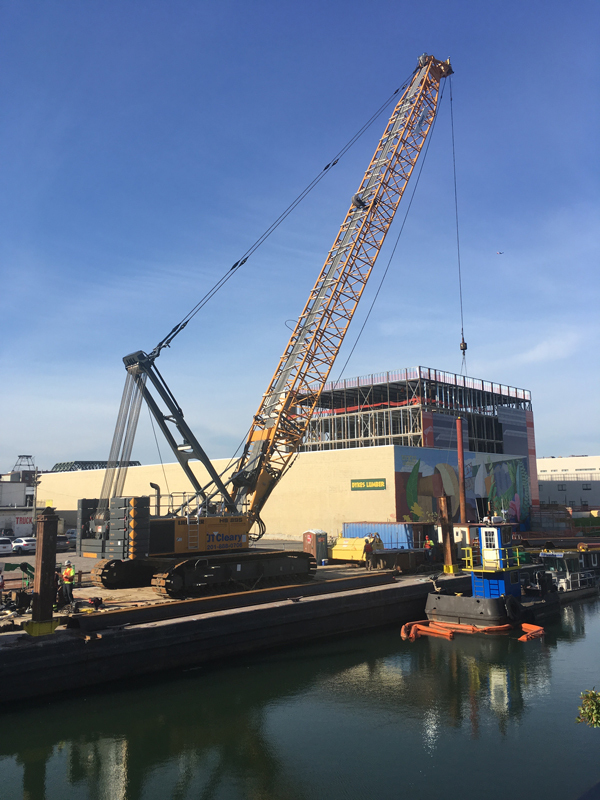 Next, bulkheads will be rebuilt at the north end of the Gowanus Canal before dredging can begin there. Gowanus Canal Conservancy is a tax exempt 501(c)(3) nonprofit organization.